Need a trim or a stunning new image? The professional hair stylists at Uptown Spa in Toronto can cut and colour your hair to give you the look you desire. If you need everyday hair maintenance or are preparing for a special occasion, our hidden spa oasis in North York can give you the results you want in a relaxing spa setting. Men, women, and children all trust Uptown’s hairdressers to give them a good haircut that helps them look their absolute best. Rejuvenate your look with a haircut at Uptown Spa that helps you look and feel beautiful. A wash, hair cut, and style is one of Uptown Spa’s most popular hair care services, but our professional hairdressers can do so much more. Get that no-fuss hair with a cut and style, convert your look to fringe hair, or upgrade to an updo for a prom or other special occasion. One of our specialties is bridal hair, helping you look like a princess on your special day, and our dedicated team of stylists can accommodate your entire bridal party in our spacious salon. Boys and girls under twelve enjoy a special discounted price on their haircut, and adults can save on their hair care services by choosing one of our junior stylists. Our skilled hairstylists can cater to your needs with our broad range of hair salon services. If you need a splash of colour in your hair, we can help with that too. If your grays are showing, a root touchup may be what you need, or talk to one of our colourists about highlights, colour balancing, and more. If your hair is in need of color correction, our salon can help remove your hair dye and restore your hair to a better look. Our stylists keep up with the latest trends, helping give you the balayage or ombre look you see on the runways and in the magazines. The expert colourists at Uptown Spa can help you choose the best solution for your hair colouring needs. Men are welcome at Uptown Spa, enjoying everything from a basic haircut to the hottest style. Trim that beard or get tips and advice from our professional hairstylists on caring for your hair. While you are at the spa, you can even enjoy a pedicure or a sports massage. 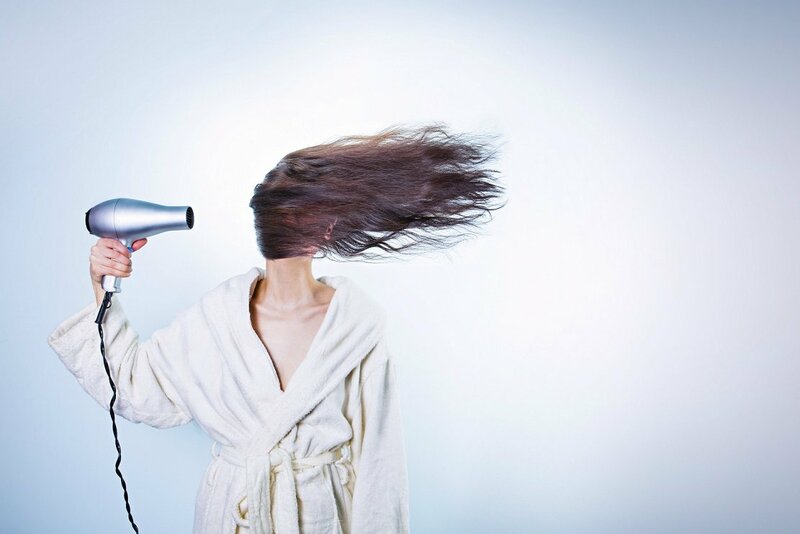 Other hair care services include perms, hair extensions, frizz control, steam pod blowdry, pro keratin treatments, and more. Our stylists are happy to give you tips and advice on hair care or help you pick out your new look. Enjoy eyebrow care from our estheticians or experience our other salon services like massage and nail care, all in one spa setting. Speak to your stylist or one of our other salon experts to find out which spa services are right for you. How do I find the best hair studio near me? You can find Uptown Spa at 801 York Mills Road in Toronto, Ontario, Canada, between Don Mills Road and Leslie Street. We are located north of downtown Toronto in North York, and some clients even travel from Bloor West Village to visit one of Toronto’s best hair salons. Book your appointment online or phone us for more information about our hair salon services including more details about how much our hair dye and other hair care services cost. Our busy hair salon cannot guarantee walk-in appointments will be available, so call today to schedule your haircut or hair coloring session. Your stunning new look awaits.